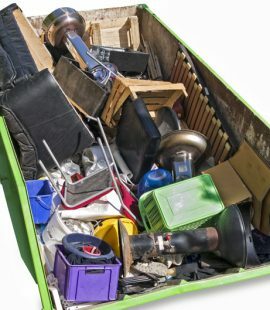 Whether spring cleaning, de-cluttering, upgrading appliances, removing garden or lawn debris, or clearing out the contents of an inherited home, it is going to create a lot of rubbish that will need to be carted away. 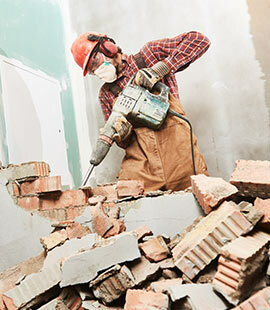 There are two options for removing unwanted items and garden waste. You can bag up the material and make a number of trips to the landfill or nearest recycling centre, or you can stay on plan with your waste project by renting a skip bin from Backyard Bins. 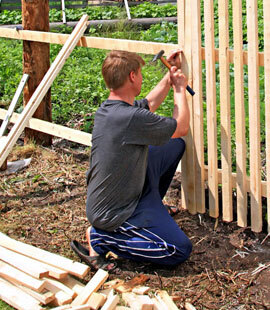 Whatever project you are tackling, there is a skip bin that will fit your needs. Backyard Bins has a full range of sizes and functional skip bins specifically intended for landscaping waste, household debris, furniture, and old appliances. 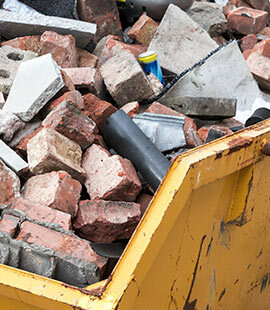 No rubbish removal project is too small or too large that it cannot benefit from the use of a skip bin. The skip bin is delivered to your home at a pre-scheduled date and time that is convenient for you. The skip bin will be put in a place that will neither interfere with your working space nor block the entrance to your home, walkway, or garage. 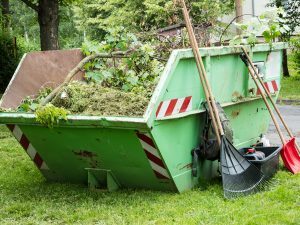 All you need to do is toss the unwanted items or yard waste into the skip bin. When you have finished your clean up work, Backyard Bins will come to retrieve the bin and take it to the proper landfill or recycling center. Some items cannot be disposed of in either regular garbage cans or skip bins. 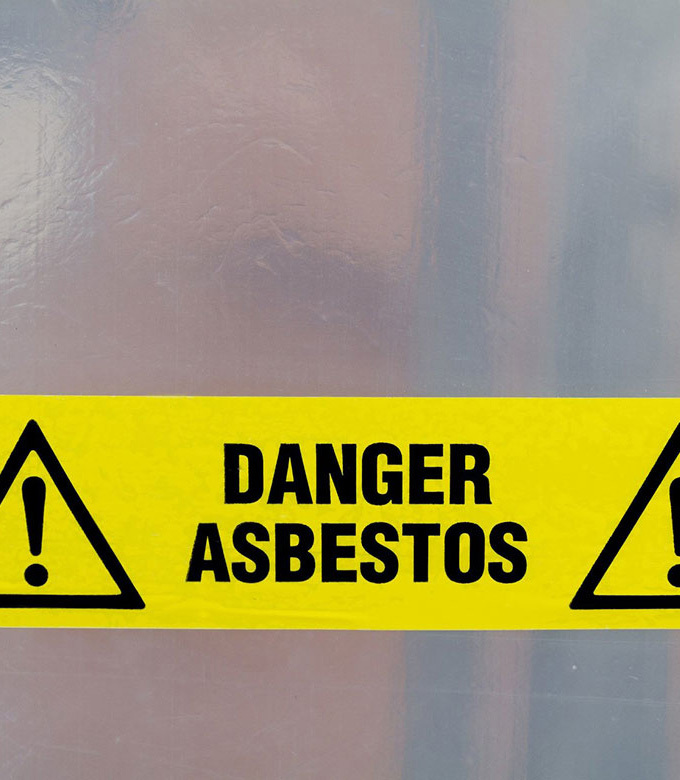 But, Backyard Bins is equipped to help you with the arrangements to dispose of electrical appliances, electronics, paint and gasoline cans, asbestos, flammable materials, or any other restricted item that needs special handling. If you are not sure if an item can be placed in a skip bin or needs to be placed next a skip bin for special handling, talk with one of the Backyard Bins professional representatives about any rubbish restrictions when scheduling your skip bin delivery. Ready to schedule your skin bin? Not sure what size or how many bins you’ll need? 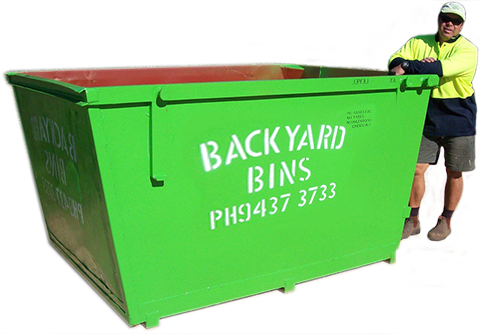 Call Backyard Bins at (08) 9437 3733 and speak with one of our friendly, professional skip bin representatives who will gladly answer all of your questions and help you to schedule a date and time to deliver your skip bin. You can also leave us a message on the contact us page and we’ll get back to you within a few hours. Our services are available 7 days a week, and your skip bin can be delivered as early as tomorrow.